Hull City manager Steve Bruce. Photo: Mike Egerton/PA Wire. Sean Dyche has a lot of time for Steve Bruce, but he is hoping to spoil his Christmas. During Dyche’s first season as a manager, at Watford in 2011/12, Bruce, then with Sunderland, allowed centre back Nyron Nosworthy to join the Hornets on loan. Dyche hasn’t forgotten that favour, and, ahead of Burnley’s visit to face Bruce’s Hull City on Boxing Day, he said: “I know he wants to win and has that way about him. He took on a challenge at Hull when they weren’t in the Premier League and maybe were surprised that he didn’t wait for a Premier League job. “He’s been in there, come out of it, and wants to get back in there, I’m sure of that. “In my experience he’s exactly how he’s interviewed and comes across is how you find him. “He’s very straight, very honest and he’s been very helpful to me, particular when I was at Watford with a player there. He was ultra helpful. “He knows the challenges of younger managers. 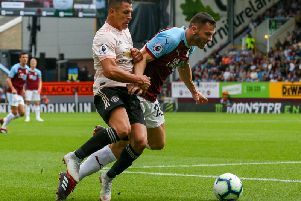 Burnley were in direct competition to Hull last season as they attempted to stay in the Premier League, but after both were relegated, they are among the promotion front runners again. City and fourth, with the Clarets fifth, but Dyche doesn’t put any more importance on the game: “Every game’s important. “I said on Saturday when I saw the other results come in, do you think Steve Bruce wasn’t thinking that Rotherham wasn’t important? Of course he was. Just as important as our game will be.